This deluxe Focus T25 package offers all Alpha, Beta and Gamma workouts! Shaun T creator of Insanity and Insanity Asylum, now brings you fast paced workouts that are jam packed with dynamic, hi-intensity moves designed for maximum efficiency and effectiveness. Beachbody has provided Intense Fitness with a limited supply of this bonus DVD and we are giving them away with each order of the Focus T25 Deluxe workout. 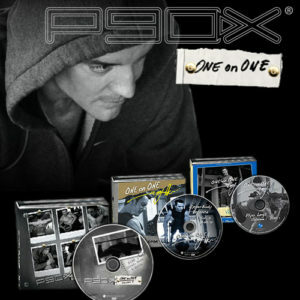 This deluxe package offers all Alpha, Beta and Gamma workouts! Shaun T creator of Insanity and Insanity Asylum, now brings you fast paced workouts that are jam packed with dynamic, hi-intensity moves designed for maximum efficiency and effectiveness. Every minute counts! Strengthen and streamline your biceps, triceps, shoulders, back, and chest with Shaun’s 360° upper-body moves. Build lean muscle and burn fat at the same time! In this one, the weights never leave your hands. Not even for the warm-up. Accelerate your reps as time progresses. This is your 25-minute cardio and strength endurance test. go-anywhere floor-exercise mat (24″ x 40″). with these pro-grade resistance bands. If your focus is on getting completely ripped, use this PURE GAMMA workout calendar. Faster pace. More sweat. Serious results. You won’t want to miss this 25-minute high-speed challenge. strong muscle from head to toe.